There is a considerable discount on the Acer Aspire 3 A315-31 Laptop, which can be purchased at Rs 17,990. There is also discount on some storage devices like external HDD and flash drives. 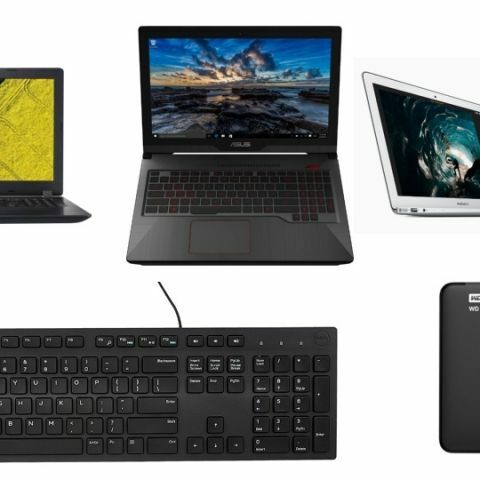 Most of the deals listed today revolve around laptops, which are ranging from entry-level basic laptop to entry-level gaming. There are also offers on a couple of storage devices, along with some deals on accessories. The Lenovo Ideapad 320E 80XL037AIN is powered by the 7th Gen Intel Core i7 processor with 8GB RAM and 1TB HDD. It features a 15.6-inch LED display, comes with dual speakers and features a 2GB Nvidia GeForce GT 940MX GPU. You can buy it here. The Asus FX503VD-DM111T is an entry level gaming laptop which is powered by a 7th Gen Intel Core i7 processor with 8GB RAM and 2GB Nvidia Geforce GTX 1050 GPU. It ships with 1TB HDD and features a 15.6-inch display. You can check it out here. The Acer Aspire 3 A315-31 Laptop is powered by an Intel Pentium Quad Core Processor and comes with 4GB RAM with 500GB storage. It features a 15.6-inch display and comes with integrated Intel HD 620 graphics. You can purchase the laptop here. The HP X3500 wireless mouse comes with three standard buttons and connects to your device via a dongle. It features adjustable sensor resolution levels of 1000 dpi, 1200 dpi and 1600 dpi. Check out the device here. The multimedia Dell laptop comes with special keys for volume, mute, play/pause and Backward & forward Key. It can be connected to a supported device via USB and there is a 1-year manufacturer warranty as well. Check out the device here. The 32GB SanDisk Ultra flash drive features high-speed USB 3.0 interface and promises of delivering up to 100Mbps data transfer speeds. It is also compatible with USB 2.0. You can purchase the device here.